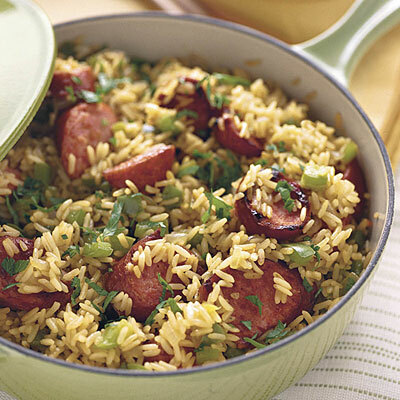 Sprinkle the frozen broccoli, rice, celery and onion in a 13×9 baking dish. Melt the butter, Cheez Whiz, and mushroom soup in a medium saucepan. Pour over the other ingredients. Mix well. Cover with foil and bake in a 350 degree oven for 45 minutes, or until rice is done. This recipe is a great side dish but also can be made the main dish if you add a pound of diced cooked chicken breast. 1 Heat butter in a heavy skillet. When it’s hot, add the rice and, stirring constantly, saute on medium heat until transparent but not brown. 2 Add the lemon juice, chicken broth, and salt. 3 Cover and simmer for 20 minutes. 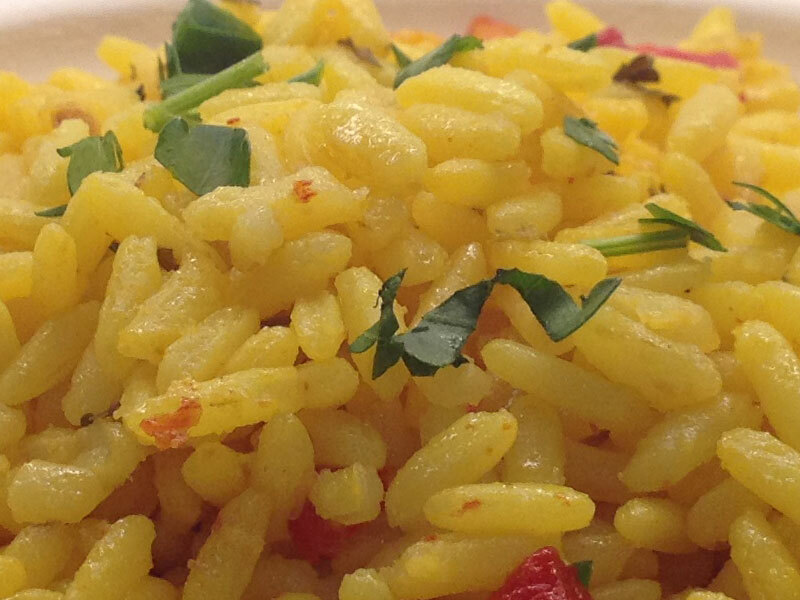 4 Remove the pan from the heat and let pilaf stand uncovered for 5 minutes before serving. Brown sausage in skillet until no longer pink. Stir in broth, rice and minced onion. Simmer gently, covered, for 18 to 20 minutes or until rice is tender and most of broth is absorbed. 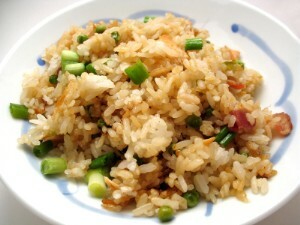 Cook rice for 6-8 minutes over heat, stirring often.